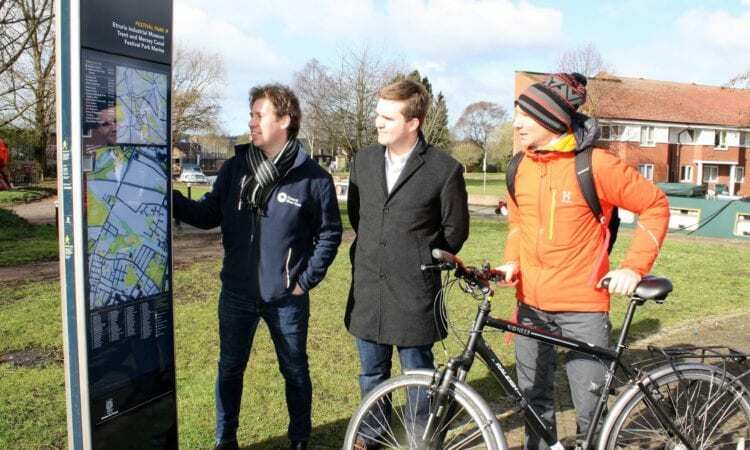 STOKE-on-Trent’s canals will be more accessible for walkers and cyclists from this spring, thanks to the installation of new Wayfinding signs. The Canal & River Trust has teamed up with Stoke-on-Trent City Council in a joint project to attract more people down to the city’s hidden canal gems. 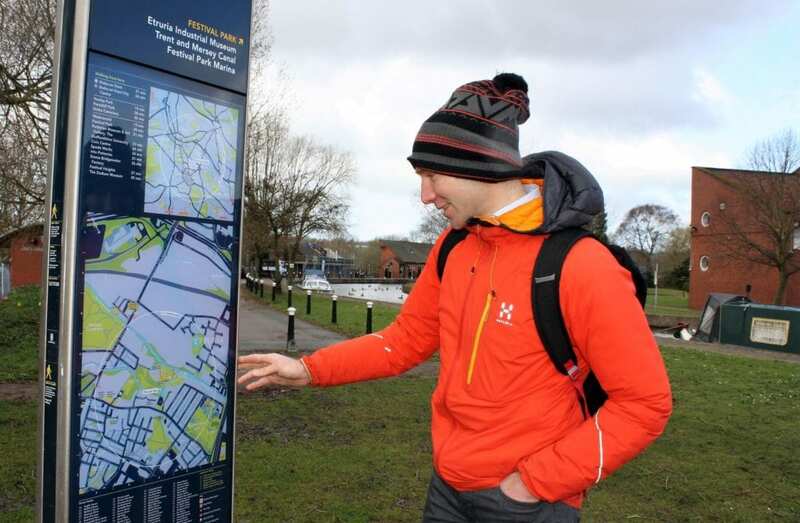 More than a dozen finger posts and detailed information boards have been installed at key junctions and locations along the Trent & Mersey and Caldon canals throughout the city centre. Their installation is part of a wider investment by Stoke-on-Trent City Council into its Legible Stoke-on-Trent initiative. The aim of scheme is to enable more local residents and visitors to walk and cycle around the city, improving health and wellbeing, encouraging support for local businesses and reducing air pollution. Over 70 signs in total are being installed across the city from Stoke Town to Hanley city centre, the Trent & Mersey Canal from the Bet 365 stadium to Westport Lake, and the Caldon Canal from Etruria to Emma Bridgewater Pottery. 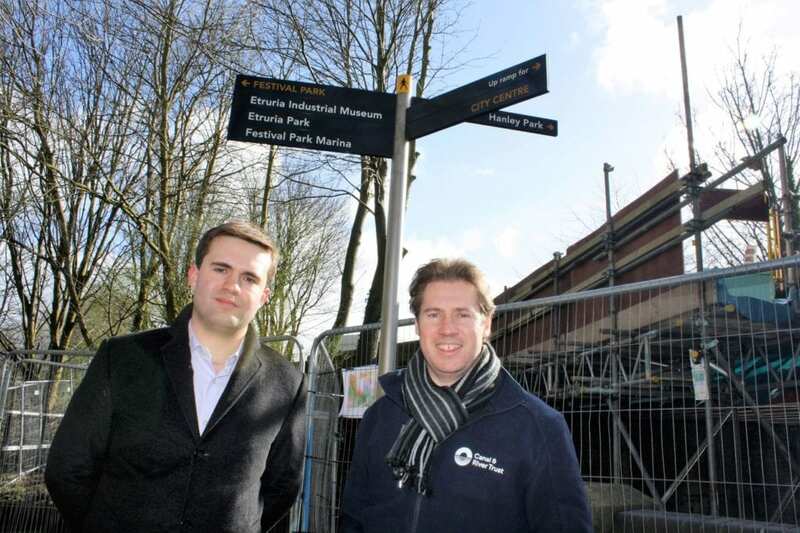 Coun Daniel Jellyman, cabinet member for regeneration, transport and heritage at Stoke-on-Trent City Council, said: “We’re delighted to be working with the Canal & River Trust as part of the wider wayfinding project across the city. Our canal network is a hugely important part of Stoke-on-Trent’s heritage, and we want people to be able to experience all that it has to offer. 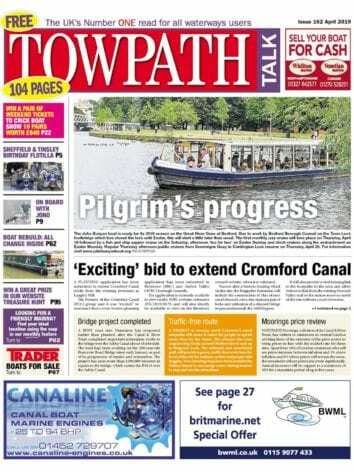 Simon Papprill, local enterprise manager with the Canal & River Trust, added: “This is a fantastic initiative which should make people feel safer and more comfortable exploring unfamiliar territory. “Stoke’s canals are a wonderful attraction, right on the doorstep of so many residents. The waterways provide attractive off-road routes for walking and cycling, connecting shops and housing estates, town centres, parks and community hubs. For more information about walks and attractions on the Trent & Mersey Canal, Caldon Canal and other waterways, visit the Canal & River Trust website www.canalrivertust.org.uk. Previous Post:Big or small, ponds for all!